On the eve of new rules aimed at making sure that homes to let in the UK are fit to live in, new research suggests that almost half of tenants claims to have been injured or become ill due to the condition of the property they rent. The Homes (Fitness for Human Habitation) Act comes into force on 20 March but not for all types of tenancies at the same time. New tenancies or renewed tenancies are subject to the regulations immediately but for tenancies that are already periodic tenancies the Act applies from March 2020. The Act redefines the obligations of landlords as they relate to the condition of a rented home. Before the new legislation, a landlord would likely be considered in breach of contract if their property was not considered to be in a good state of repair. This typically refers to specific measurable failures, such as broken windows and faulty appliances. The new Act demands that landlords also ensure properties are ‘fit for habitation’, which includes matters such as good ventilation and access to natural light. The Residential Landlords Association (RLA) is advising landlords to make sure they are compliant and to make sure they communicate with their tenants and carry out regular inspections. It points out that fit for human habitation does not mean that there is a defect in the property. It means that there is a defect in the property that is so serious that a court considers the property to be unfit for a person to live in. ‘This is an important distinction because it means that the property has to be judged on the basis of the property condition as it is, and whether it is unsuitable for the actual person who lives in it as opposed to the generic tests applied by local authorities using the Housing Health and Safety Rating System. As a result, a younger, fitter tenant living on their own would have a higher threshold for what is unfit for them to live in than an older person or someone with a young family,’ the RLA says. It comes as a survey from property maintenance firm Aspect found that the equivalent of 44% of people who are currently renting a home or have rented a home, say its condition was such that it caused them illness or injury. Environmental irritants, damp and mould were among the common causes of health issues for tenants leading to allergies, respiratory problems and stress while respondents also reported suffering burns, electric shocks, and puncture wounds as a result of the condition of their rented home. Some 19.4% said the condition of their home had caused them stress or anxiety, 14.3% said they were ill due to a cold environment or poor heating, 10.7% said they has allergies or reactions related to environmental irritants such as fleas, dust mites, or bedbugs, while 10.1% had lung or respiratory problems due to mould or damp. It found that 8% claimed to have sustained cuts and scrapes from sharp edges and poorly fitted fixtures, and 8% said they’ve experienced an injury from a trip or fall caused by the condition of their home, such as from a loose fitting carpet or a loose step. Some 6% have had an electric shock from a landlord supplied appliance, 4% have experienced puncture wounds and 3% have sustained burns and 4% say they’ve experienced a carbon monoxide related illness that they directly attribute to the condition of their home. Renting related health problems disproportionately affected younger tenants, according to the survey with the youngest renters 24% more likely to experience illness and injury related to a rental property compared to the national average. Some 58% of 18 to 24 year-olds, 56% of 25 to 34 year olds and 54% of 35 to 44 year olds experienced an illness or injury due to the condition of their rented home, significantly higher than the 39% of 45 to 54 year old renters and 27% of over 55s who reported the same. 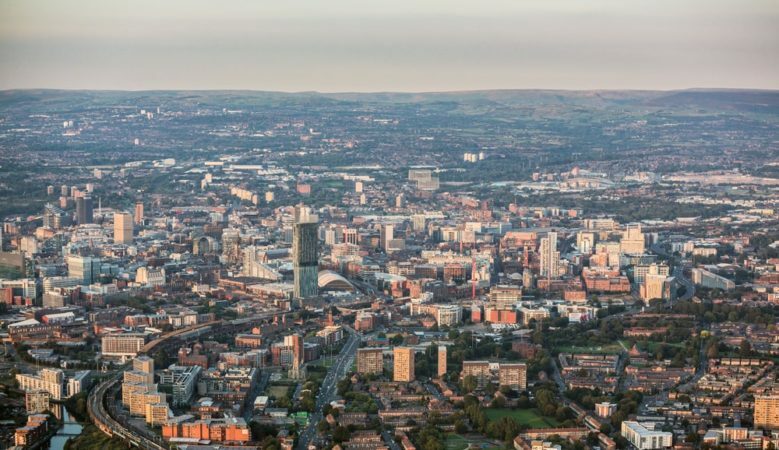 London had the most property-related injuries and health problems, but as a proportion of residents, Birmingham came out as the UK’s capital of poor rental health with 57.8%, followed by Swansea with 57.14%, Plymouth at 56.52%, Leeds at 55% and then London at 52.87%. They city with the fewest property related illness and injury was Chelmsford at 14.29%, followed by Oxford t 30.43%, Liverpool at 31.43%, Manchester at 31.46% and Aberdeen at 33.33%. According to Nick Bizley, commercial director at Aspect, it is alarming but not surprising that so many tenants are reporting health problems directly related to the condition of their home. ‘From first hand experience, the age imbalance of those suffering ill health and injury due to the condition of their home can be directly related to the younger age group not being confident enough to bring maintenance issues up with their landlord,’ he said. ‘Our tradespeople regularly see and report examples of corner cutting on maintenance, especially where properties have been converted into homes of multiple occupancy, such as a large houses converted into flats, but also at the higher end of the property market too,’ he explained. Indeed, one recently discovered drinking water was being fed from a water storage tank rather than being connected directly to a mains supply. People are advised not to drink water from a storage tank as they provide the right conditions for bacteria, such as legionella, to exist. ‘Our people also regularly see poorly ventilated homes as a direct result of landlords converting large properties into flats without allowing for sufficient ventilation in each subsequent property. This leads to damp, which causes mould, which is proven to have a detrimental impact on health,’ Bizley pointed out. ‘Aspect tradespeople have also reported non-isolated gas lines where the entire gas supply was located in the ground floor flat in a block of four. Another shortcut we regularly see is landlord-supplied appliances that haven’t been PAT tested. I think landlords can be ignorant of their obligations so we hope this new legislation will clarify those obligations to ensure homes are fit for habitation and lead to a general improvement for living conditions across the rental sector,’ he added.